Competitors get a sprinting start before jumping into the bobsled and descending down the run. With a sprinting start the athletes jump into the snow-car like sled. In groups of two or four they slide down the run, one person uses the steering mechanism to maneuver around curves. With a sprinting start the athlete jumps onto the sled laying face first before descending down the run. The athlete angles their body in different ways to maneuver the steering. The racer starts on the sled feet first. 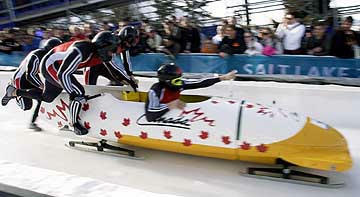 The sled and steering methodology is similar to that of the Skeleton. In either single or doubles the athlete push themselves forward with their arms at the beginning of the track, to begin their descent down the run. Not so surprisingly, there aren’t many places around the Kansas City area where you can do this. 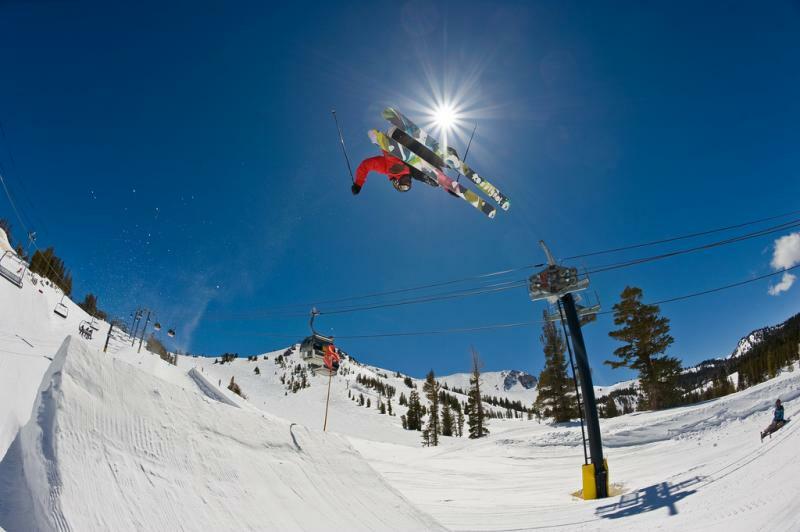 If you’re really seeking out the true experience you can always make the trip to the Olympic Park in Utah, or go to Whiteface Lake Placid in New York. Probably the best local option is to find some type of sled, and a good hill. 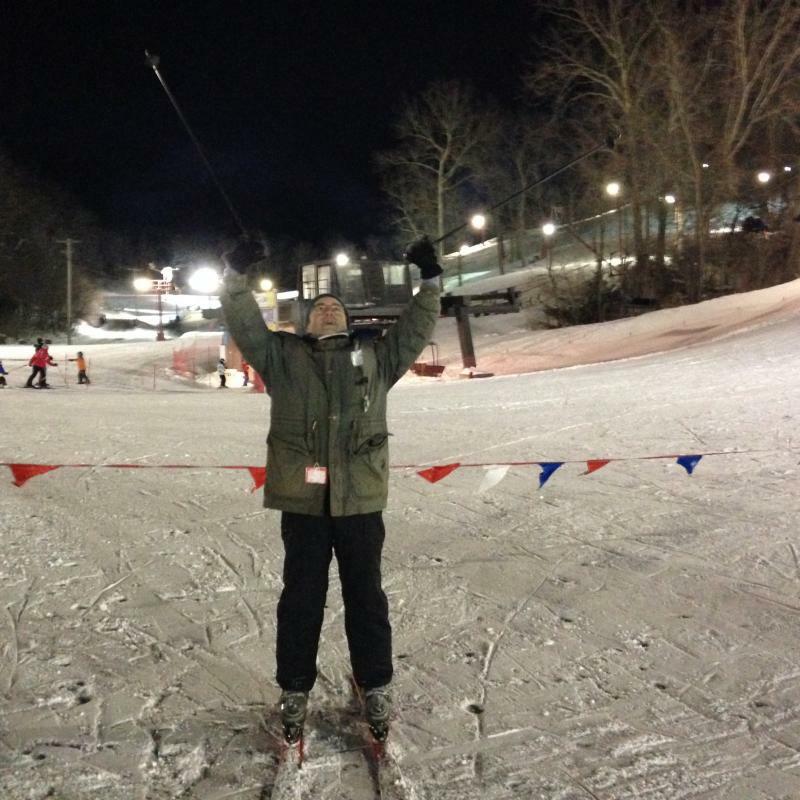 Here’s a good list of solid sledding hills in Missouri and Kansas. You may not reach 90 mph, but the thrill of barreling down a snow or ice covered hill at even 15-25 mph is still pretty fun. To get the experience in Utah or New York, day passes range from $85 – $250, not including travel or accommodations. In the Kansas City area, the cost of a nice sled starts at about $70. But, you can turn lots of things into a sled for the day, like a recycling bin, inner tube, or any slick piece of hard plastic. Olympians wear spiked cleats, helmets, gloves and skintight uniforms that help increase their aerodynamics. If you’ don’t feel like putting on something super skin tight, a snowsuit, hat, helmet, good warm gloves and hearty boots will also work. Bobsled, Skeleton and Luge athletes are also often solid track and field competitors. The sports require similar physique and use similar muscle groups. Consider participating in track and field training to condition for these sports. Barreling down a hill or mountain at high speeds is dangerous. Sledding during the daytime is recommended. It is always smart to check the hill prior for obstructions. Wearing a helmet is also not a bad idea. My sister broke her back on Suicide Hill, and I still to this day will not go sledding there.